SOME OF THE DANGER SIGNS TO LOOK FOR IN A RELATIONSHIP. I want to say Thank You to all the great authors and producers of the many awesome videos that are out there. Many I have placed here throughout this website however there are still many more that I waiting to be seen. Thank You Mariana I look forward to what you will bring in the future. A Fox 11 News Broadcast on Verbal Abuse CLICK FOR BROADCAST. Welcome to Dr. Irene’s Verbal Abuse (Site)! 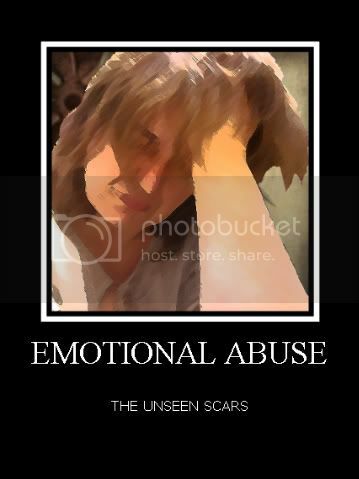 This is the place for you if you think you may be in an abusive relationship or may be abusive yourself. I was a victim of emotional abuse. My ex girlfriend would get annoyed at me for no possible reason and would yell at me. She would say things like I need to grow up and stop acting like a child. She would also tell me things like she loved me and adored me only to be angry with me for no possible reason the nest minute. She manipulated me. I would drop everything for her and go to her beck and call. I wasn’t allowed to call her even if I did she would be furious with me. I was walking on pins and needles well into the relationship. I thought I had found the love of my life. The sad thing is, I still love her and always will. If she were to ever call me and tell me she wants to get back together while I’m in a another relationship, I would drop everything and go back to her. Regardless of how she would treat me I thought that’s how true love was meant to be. I still love her and always will. I just found this site a few minutes ago and I want to share it for it is to good to miss out on. I hope it will be a source of courage for those in need as well. This is a great INSPIRATIONAL SITE FOR GATHERING THE COURAGE TO LEAVE AN ABUSIVE RELATIONSHIP. It is full of stories from different women who have experienced the fear and uncertainties and overcame them and got away. I applaud all of you courageous strong women and its great that you are willing to share your stories with others who are in need of encouragement. Thank you Rebecca for allowing people to share this Blog it is a great resource!